Sponsorship opportunities are available for the 2018 Iowa Trails Summit. Interact with trail experts and enthusiasts from across the state and help build a better trail future for Iowa! Name and/or logo will be prominently displayed on all materials including print, social media, website, email, radio and other promotional instances. One 8' table and banner display area will be reserved for exhibit space during the summit. Sponsor may send 3 attendees and will have the opportunity to introduce the keynote and address the group before lunch. Name and/or logo will be included on attendees' printed materials, listed on the website and all print, social media, and email promotions. One 8' table and banner display area will be reserved for exhibit space during the summit. Sponsor may send 2 attendees to the summit, and will have the opportunity to introduce one of the break-out sessions. Name and/or logo will be included on attendees' printed materials, listed on the website and social media, and mentioned in special pre-summit promotions. One 8' table will be reserved for exhibit space. Sponsor may send 1 attendee to the summit, and will be noted as a sponsor during networking breaks. A special category for trail organizations to partner with the summit. Trails will be featured in attendees' handouts and highlighted in pre-summit promotions. A shared 'trail table' will be available for promotional materials. Sponsor may send 1 attendee to the summit. Click the button below to become an Iowa Trails Summit sponsor. Sponsorship donations are being processed through Iowa Natural Heritage Foundation. 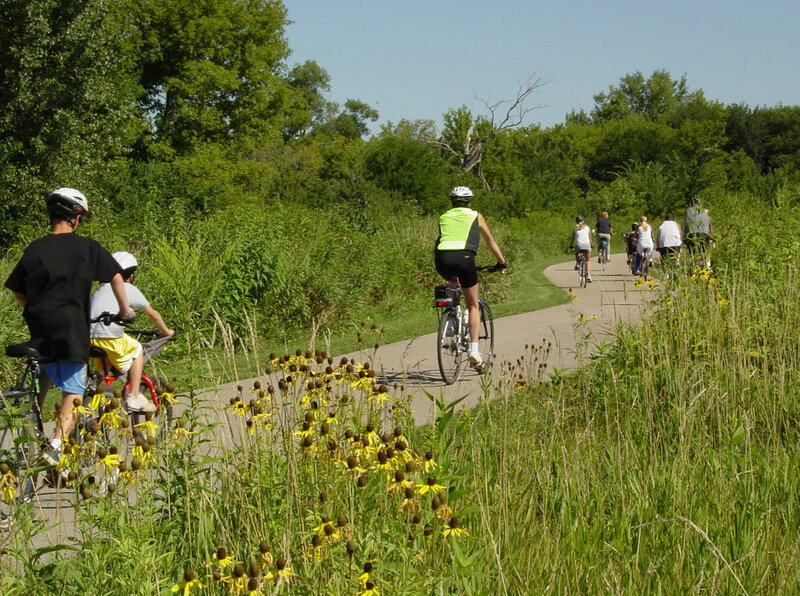 All contributions made through this website will be allocated to the Iowa Trails Summit. All sponsor levels will include a link to your website on www.iowatrailssummit.com. The above sponsor tiers are suggestions — we are happy to work with you to tailor a customized sponosrship that will fit your needs! Additional opportunities include: Thursday night social sponsor, breakfast sponsor, lunch sponsor and beverage sponsor. Please email trailsummit@inhf.org for more information.